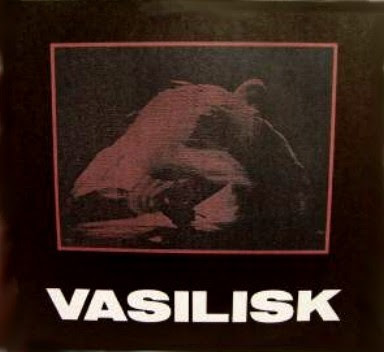 In 1985, after the split up of the political unit 'White Hospital', Tomo Kuwabara started up the unit Vasilisk with Yukio Nagoshi (percussions/guitars) and Chiaki (percussions). They made a first album called 'Whirling Dervishes' in 1987, released through Eskimo, which was the label established by Yun 'Grim' Konagaya. In this album they played several and unusual instruments: African skin-drums, African flute, Tibetan percussions, Ancestor's voices. In 1988 they made a second album called 'Mkwaju' with the same line-up and also released by Eskimo. Just after the release of this album, Tomo and Yukio joined Rose Mcdowall's new project Candy Cain. They toured through Japan during most of 1988. Around that time, Luciano Dari invited them to release their next album on his label Musica Maxima Magnetica. After the collaboration with the Rose's project in 1989, they started to record their third album 'Acqua' in London and Naples (Italy) with the same three members. 'Acqua' was released at the end of the same year by Musica Maxima Magnetica. After they came back from Europe, they started to compile and remix their previous material from the three albums in order to release their most intensive tracks on their debut CD release, entitled 'Liberation and Ecstasy'. After that they went into a long silence of 5 years. Tomo traveled around Asian countries for nearly 2 years starting in 1991, in order to search his identity as an Asian.... Most people knowing and expecting a lot from this unique band, were thinking they had stopped all activities, but that was not true! In fact during this time they had recorded two (still) unreleased albums. The first unreleased one was recorded in 1993 and it was called 'Tongue'. At that time the line up was changed as Yayoi (voice), Hidero (guitars) and Tomo (percussions). In 1994 they went to Moscow in order to make their own documentary program on TV and join the Contemporary Music and Art Festival. In 1995 they made a second unreleased album, recorded in Tokyo. Unfortunately they decided not to release these 2 albums as they thought the sound was odd and incomplete. They went further in song-oriented direction including a female vocalist...but they felt that direction was inappropriate for them, because of the lyrics; whereas most artists are using lyrics to express their policy, they felt the lyrics were a constraint, since they tend to define the image of music and imagination of listeners. After those chaos years, Tomo met Tsuyoshi (keyboard) and they started as Vasilisk to create a new sound with another method of musical expression. They were admiring the techno-sound with strong rhythm to create a state of trance like ancient shamans....full of united groove. So they choose the psychedelic trance sound which stimulates their brain directly without any words. IMHO their best LP with a variety of styles,from dark ambient to strange ballads(one song is written by Suzanne Vega!). Thank you so much, Mutant Sounds. I saw this band live around 1991 and it was very exciting. Very special to hear it again. this is a great one. thanks. do you have mkwaju digitized by any chance?